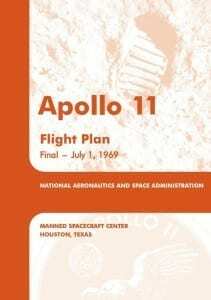 Apollo 11 Flight Plan is a very special document. It was published by the NASA 1. Juli 1969 and it is detailed description of the entire mission to the moon. It includes precise time plans minute by minute for the days of the mission, info-graphics depicting the communication systems, the calculations for the series of maneuvers of the spacecraft etc. 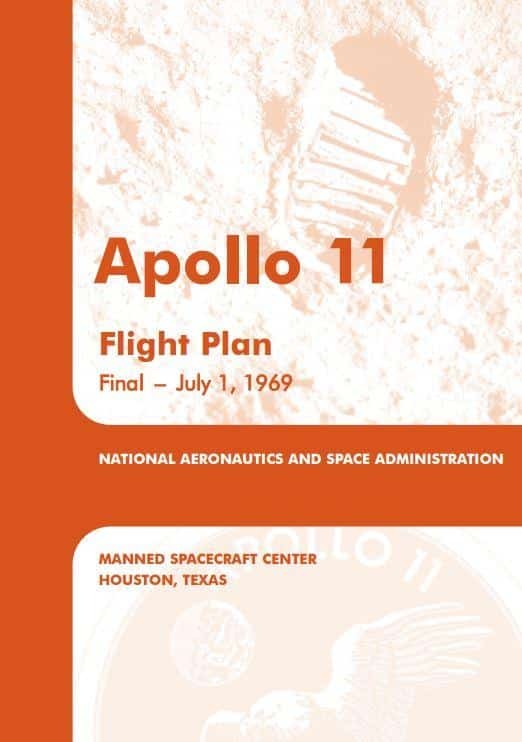 The Apollo 11 Flight Plan is the documentation of an amazing achievement of ingenuity, will, bravery and commitment to achieving the seemingly impossible dream, of landing a man on the moon and returning him safely to Earth.